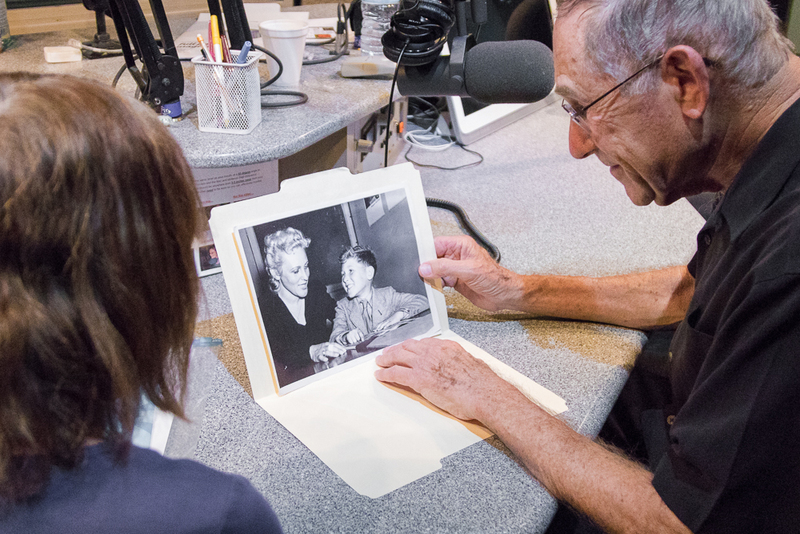 The United States Holocaust Memorial Museum (USHMM) has accepted an interview conducted by Sun Sounds’ volunteer Judy Bartelstone with child Holocaust survivor, Dr. Michael Markson, for their archives. Dr. Markson’s memories aired November 15, 2017 on Sun Sounds of Arizona. This was the first and only public interview Dr. Markson plans to give, airing as part of Bartelstone’s program “Coping”. Dr. Markson’s heartfelt story brings to life the separation of mother and son during the World War II Nazi invasion. Years later they reunite and escape from Lithuania to America. The interview can be heard on the United States Holocaust Memorial Museum (USHMM) USHMM website here or by going to https://www.ushmm.org/ and searching "Oral history with Dr. Michael Markson". The show was also submitted to the International Association of Audio Information Services (IAAIS) for the 2017 Annual Awards in the Interview/Call-In category, which will take place May 3-5 in Colorado. Michael Markson shows Judy Bartlestone a photo with his mom, taken when he was a young boy.